© Jefferson Siegel/New York Daily News Yoselyn Ortega appears in Manhattan Supreme Court on March 2, 2018. 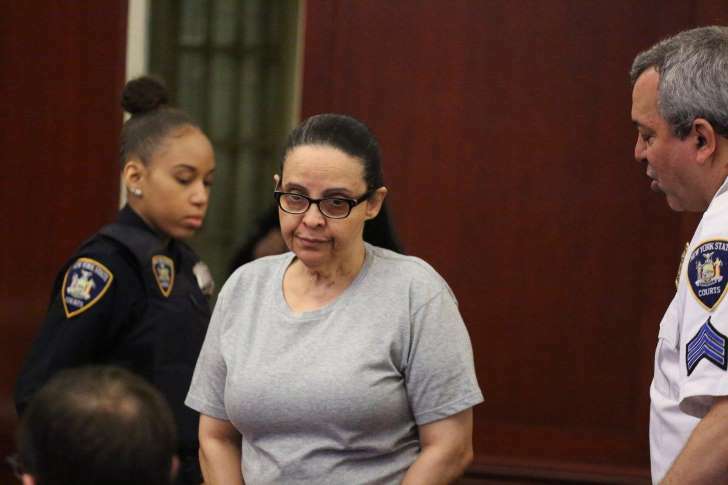 Only mental illness can explain Manhattan nanny Yoselyn Ortega’s frenzied stabbing spree that killed two young children in her care, her lawyer argued Monday in closing statements at the babysitter’s first-degree murder trial. "The reason for the defendant's actions lay within her delusional mind," lawyer Valerie Van Leer-Greenberg told a Manhattan Supreme Court jury. “The lack of the defendant's apparent motive is the hallmark of her mental illness." Ortega's defense team concedes the nanny repeatedly stabbed and slashed Lulu and Leo Krim, 6 and 2, on Oct. 25, 2012 inside their W. 75th St. home. But defense experts argued she did so amid a "psychotic" episode, and that she was in a "dissociative" state during the kitchen knife attack of the children and afterward, when she tried to cut her own throat. There was "no rational motive for the stabbing of two children, Lulu and Leo,” Van Leer-Greenberg told the jury, pointing to testimony from relatives and witnesses that Ortega's symptoms developed over time — and worsened in the weeks before the slayings. "Mental leakage or collapse does not announce itself like a bad cough or a constant limp," she argued. "Sometimes it sneaks up and nestles deep within before anyone takes notice." The defense claims Ortega can’t be held legally responsible for the heinous slayings. Prosecutors charge Ortega killed the children out of spite for their mother, Marina, and that the nanny grew increasingly depressed and anxious over her personal failures ahead of the rampage. Ortega's trial opened March 1; she faces life in prison if convicted. If the jury accepts her insanity defense, she could spend the rest of her life in a psychiatric facility.